Since its inception, NHCF has been exploring possibility of charitable activities in Nepal. This came to fruition in 2013 with CRA approval to partner with Early Childhood Development Centre (ECDC) led by CNN Hero Pushpa Basnet. ECDC established in 2005 located in Kathmandu provides support to the children of incarcerated parents. The children under its care receive regular medical checkup, vaccinations, and are enrolled in a local school. Please visit http://ecdcnepal.org/newportal/ to learn more about ECDC. 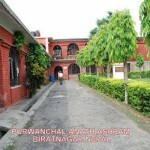 NHCF also has partnership with Purwanchal Anath Ashram (PAA) located in Biratnagar in east Nepal. Partnership with PAA led by Mrs. Sita Pokhrel and incorporated 28 years ago, commenced in 2014. PAA provides food and shelter as well as opportunity to the orphans to gain education. PAA has in the recent years started caring for the hapless senior citizens who have been abandoned by their families or who do not have any one to look after them. As of last reporting, PAA had 60children and 16 senior citizens under its care.